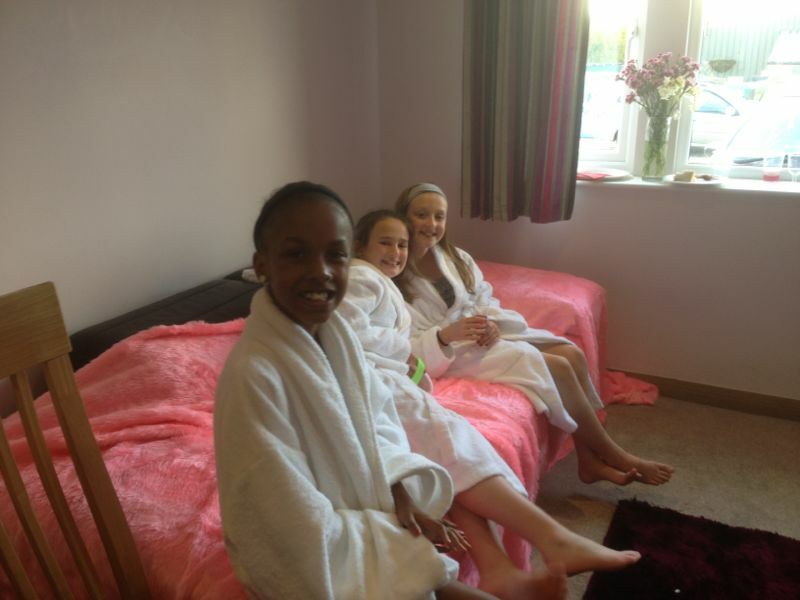 Our Pamper Party diary is looking very busy, and we’ve just been sent some photographs of a recent girls’ birthday party in Leeds. The girls were pampered with facials and manicures, and they were even lucky enough to have a garden hot tub to enjoy their alcohol-free champagne in! If you have photographs of your Pamper Me Pamper Parties, we’d love to see them. Please get permission from those in the photographs (or their parents if under 18) before sending to us. 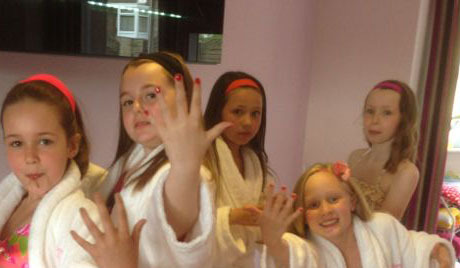 To book your Pamper Me Girls children’s pamper party, go to www.pampermeuk.com/girls or call 0113 264 0167. Most of our parties are held in Yorkshire, including Leeds, York, Sheffield, Bradford and the surrounding areas. We can travel further afield too – just get in touch to arrange your party at home or in the venue of your choice. Relaxing and enjoying a glass of alcohol-free bubbly!